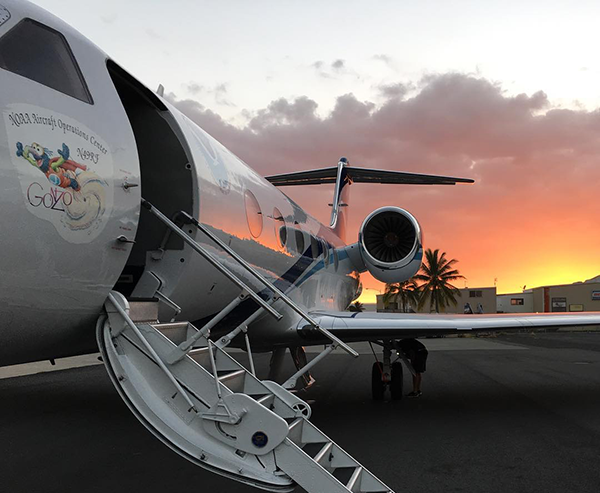 This aircraft flew out of Honolulu, Hawaii carrying a suite of meteorological sensors and deploying dropsondes for 22 research flights from mid January to early March 2016. 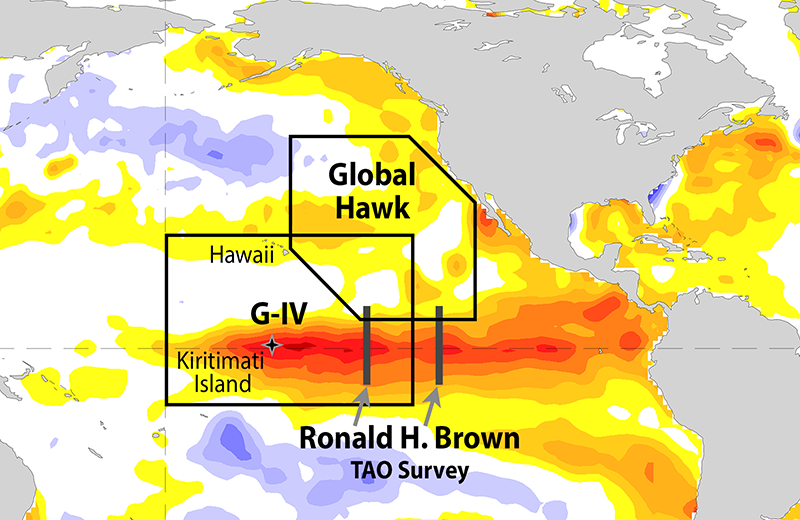 The ship launched up to 8-times daily radiosondes on the Tropical Atmosphere Ocean (TAO) survey cruise from February 16 to March 18, 2016 (Honolulu to San Diego). 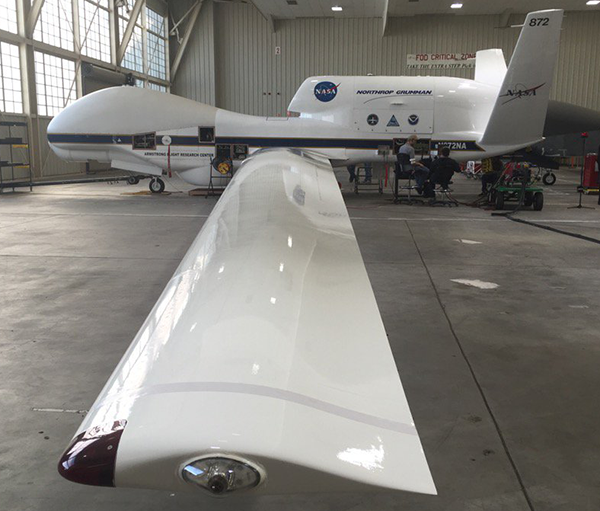 The Global Hawk deployed through the SHOUT project led by NOAA's UAS Program, carried a suite of meteorological sensors and launch dropsondes during three research flights in February. 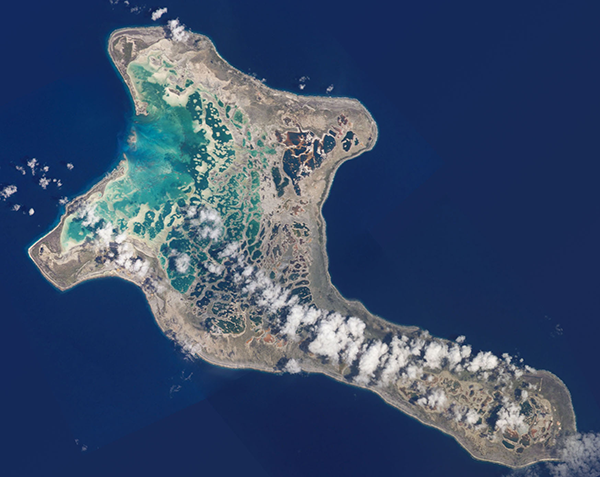 On Kiritimati (Christmas) Island, approximately 1,340 miles south of Honolulu, a radiosonde sounding system was set up with twice-a-day vertical soundings made continuously from late January through March 2016. 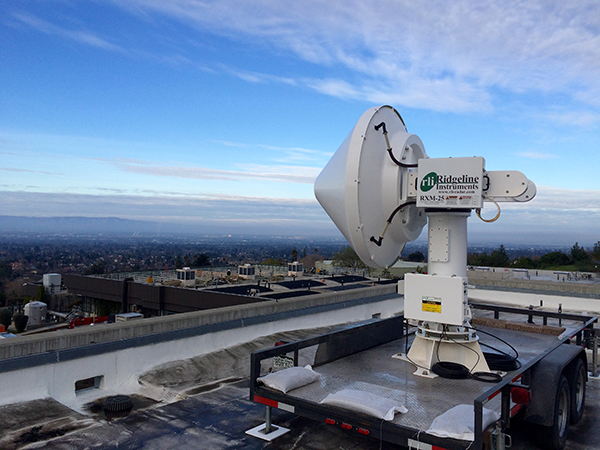 The radar will be deployed to the south San Francisco Bay as an experimental radar system, which will provide the more accurate rainfall estimates for the region that are needed to better manage and mitigate negative impacts. Starting in late January. 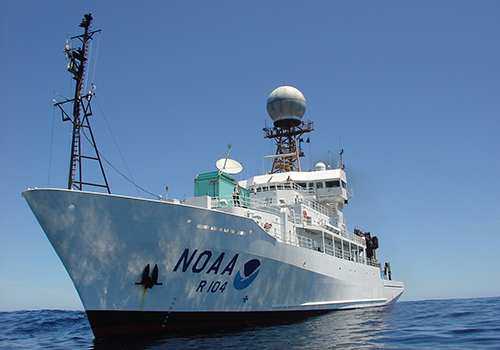 PSD researchers in Boulder, Colorado analyzed conditions and held daily forecast briefings, which were used to plan and coordinate field observations.